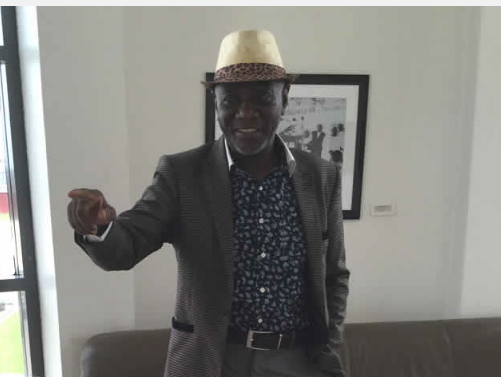 The father of the wife of the Vice-President, Mrs. Dolapo Osinbajo, Elder Olutayo Soyode, says in spite of his daughter’s position and the exalted office of her husband, he dreads going to Aso Rock for a visit. He said going to the villa was like going to jail, given the way his movement would be monitored and he would need to sign various forms before he could go out, for security reasons. Speaking in an exclusive interview with Saturday PUNCH on Friday, the 74-year-old said he loved to be free and he wasn’t the type to sit in one place and be watching television under heavy security. Soyode, who was a close associate and son-in-law to late Chief Obafemi Awolowo, explained that it was the will of God that Prof. Yemi Osinbajo rose from being a university lecturer to become the Vice-President, and that all her daughter wanted to be was a confectioner despite being a qualified lawyer. He recalled that by the time his late wife, (Dolapo’s mother) was delivered of Dolapo in the United Kingdom where they met, he was believing God to have a male child, as it was customary in his family to have a male as their first child. However, he said if she had been a male, he might not be as close to her as they are today. When asked how often he visits the villa to see his daughter’s family, he said, “I don’t go there often. Going there is like going to jail, as far as I’m concerned. It’s like locking me up. The way you see me, do I look like someone that can be kept in one place and before I could go out, I have to sign papers and there would be plenty phone calls? I would just run mad, because I’m not used to such. “I’m a free man. That place (Aso Rock), is a very good place but I’m not the type to live there, so I don’t go there often. Anytime I go, I do give them time, like telling them I was coming for two days. I don’t even live with them. Let us say we are in Abuja now, you possibly can’t visit me for this interview. They won’t allow you to come in, and if you have to, you would have to sign different papers.